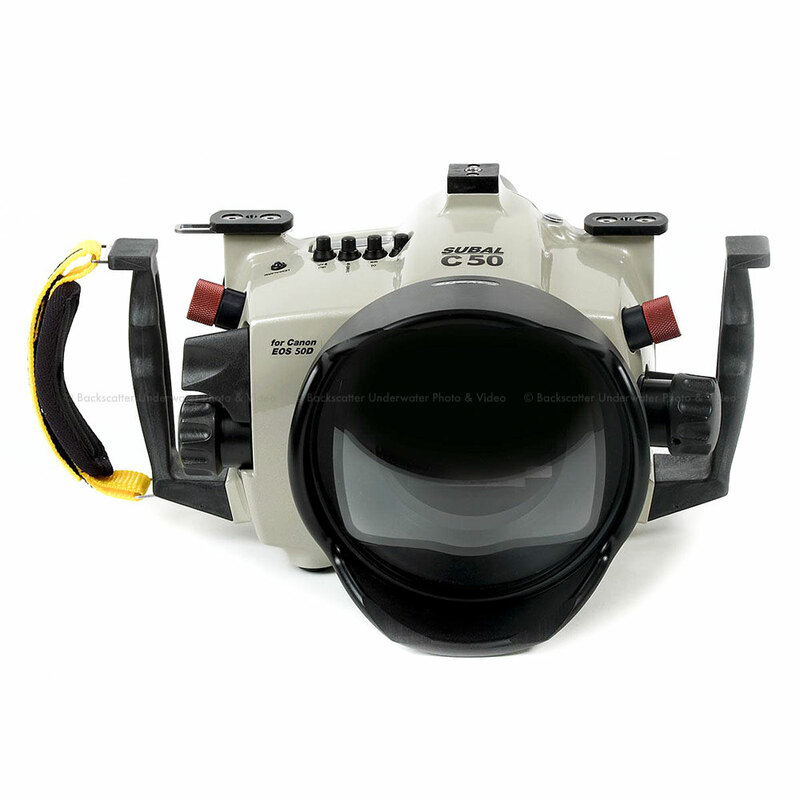 SUBAL offers for this housing model, 3 different search systems: the standard viewfinder slimmed the viewfinder image, so that it can fully be overlooked despite diving mask. The GS 180 and the 45_ viewfinder offer a view in size approximately corresponding to the camera's viewfinder, with the insight of the GS-180 horizontally, the insight of the WS-45 under 45 _.
Seawater resistant aluminum alloy machined from the block. Hard coating and corrosion treatment is applied to the surface of the housing. In addition 3 layers of powder coating paint are applied to give the housing the unique SUBAL color and finish. All parts are made of hard-anodized light alloy, acid-resistant stainless steel and high quality plastics, to endure all working conditions. SUBAL QuickLock closure system.